LiDAR technology is used by autonomous vehicles to navigate environments, but there are many other awesome applications of LiDAR technology. Check them out. [powerpress]Listen to the audio version of this article! The first time I ever heard of LiDAR technology was in regard to autonomous vehicles, used as a way of identifying (and therefore avoiding) objects. Curious how it worked, I began investigating LiDAR and discovered that there are many, many applications beyond just autonomous vehicles. LiDAR technology is extremely useful in fields like archeology, physics, and astronomy, among others. Since I work in the Internet of Things at Leverege, LiDAR applications in IoT are particularly interesting to me, so below I’ll share some cool use cases for LiDAR in smart agriculture, smart retail, and smart cities. But First: How Does LiDAR Technology Work? If you’re anything like me, you love knowing how and why things work the way they do. So I’ll share a quick explanation of LiDAR before we check out some applications. The term “LiDAR” originated in the early 1960s as a combination of the words “light” and “radar”. Some people treat LiDAR as an acronym, either for “Light Detection And Ranging” or for “Light Imaging, Detection, And Ranging”, but such acronyms were created retroactively. Just as sonar uses sound waves and radar uses radio waves to create a map of the environment, LiDAR uses light. This will give you millions of points, called a “point cloud” in aggregate, which creates a digital mapping of the environment. For LiDAR systems that are moving (e.g. on an airplane or on a car), you also need a position (GPS) and navigation system. Although light is literally the fastest thing there is, it isn’t instantaneous. So if you’re moving, not only do you need the time of flight for the light, but you also need the exact location of where the laser was fired and the exact location of where the returning laser is received. This lets you build an accurate point cloud like the picture above. Planes flying with LiDAR systems can capture high-resolution models of archeological sites that can reveal micro-topography otherwise hidden by vegetation. 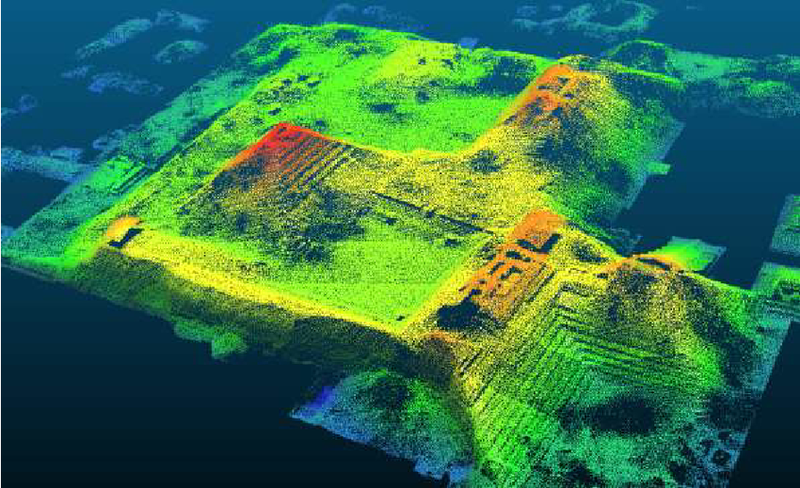 In 2012 LiDAR was used to find the legendary city of La Ciudad Blanca in the Honduran jungle. Despite the heavy foliage, LiDAR was able to show extensive man-made structures which ground searches had failed to find for hundreds of years. 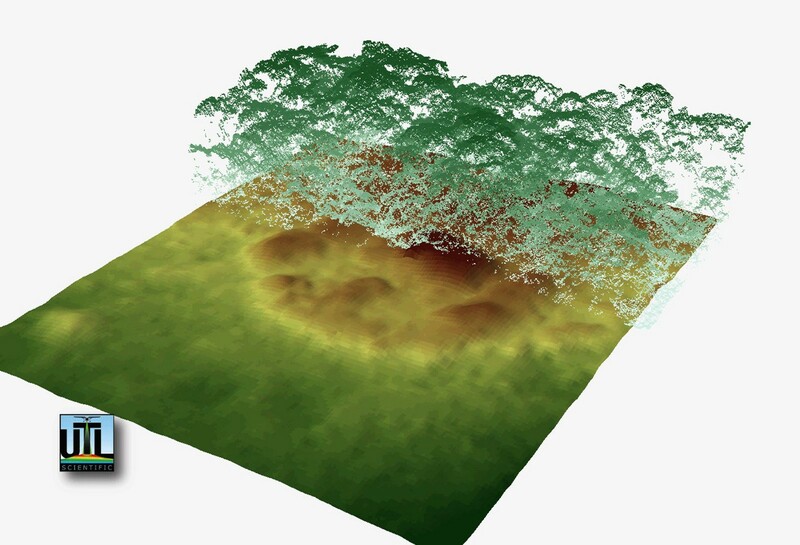 (Image credit: UTL Scientific) Vegetation can be filtered and “lifted” off of the underlying surface, which revealed a complex of mounds and ancient building foundations in Honduras. During the Apollo program, retroreflectors were placed on the Moon. As the name implies, these retroreflectors are used to reflect back lasers that are shot from observatories on Earth. The data generated by these LiDAR systems in observatories across the world can be compared to find the exact position of the Moon measured with millimeter precision. Using these exact measurements, we’ve been able to conduct tests of general relativity. LiDAR is also extremely useful for mapping the surfaces of celestial bodies. For lunar and martian landers, it’s critical to have accurate topographical maps so that flat landing sites can be chosen. In 2001, the Mars Global Surveyor produced a spectacularly precise global topographic survey of the red planet which has been crucial in subsequent missions to Mars. 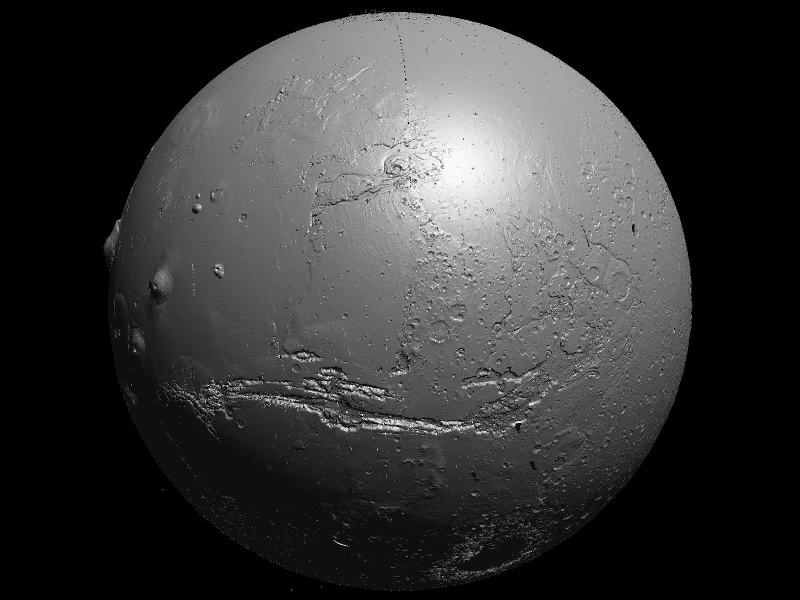 (Image Credit: Doc-ok.org) Global visualization of Mars topography using the MOLA data set, rendered using LiDAR Viewer. There are a few facets of LiDAR that make it particularly useful in certain IoT applications. As we saw with archeology, LiDAR can penetrate vegetation and generate a map of the underlying topography. LiDAR is also extremely precise, meaning that it can even be used to detect and identify clouds of gasses. And finally, LiDAR produces 3D maps that are abstract and importantly free of personally identifiable information. Smart Agriculture is all about gaining actionable insights into farming so planting, growing, and harvesting can all be optimized with the fewest resources to create the highest yield. Drones equipped with LiDAR can fly over a farm, building a high-resolution topographical map of the landscape. Then, this map can be combined with the known crop yields from the previous year to identify which zones are high-yield, medium-yield, and low-yield. With these insights in hand, farmers can apply expensive fertilizer only where it’s needed and achieve the highest yield of crops at a lower cost. As mentioned, the precision of LiDAR allows it to be used to detect and identify clouds of gas. This capability can be used to gather useful data on pollution and smog in the air above a city. By identifying patterns and problem areas, cities can be better planned to reduce this pollution and improve air quality for residents. Because LiDAR can be so precise, it can be used to detect and track pollution in the air above and in a city. This can lead to better city planning to reduce pollution and smog. 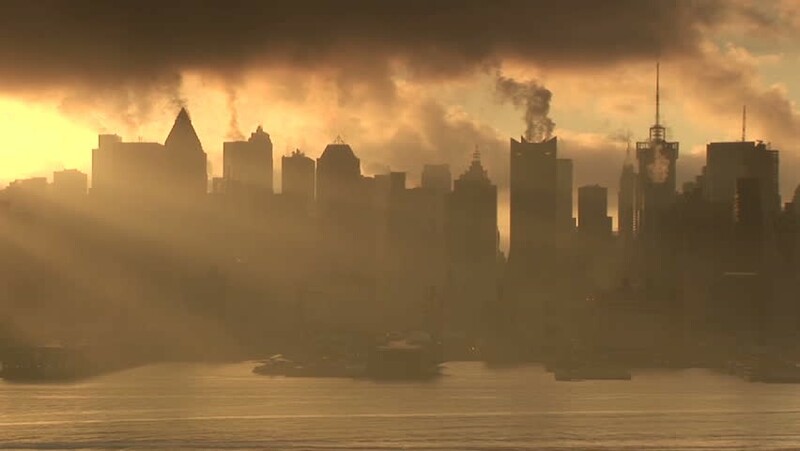 Image Credit: Emaze | Smog pollution sunset over Hong Kong. Also, the precise 3D maps generated of a city by LiDAR can be combined with data on the sun’s movements throughout the year to create shadow maps. That is, which parts of the city are shaded, at what times of day, and at what times of year. For city-wide deployments of solar energy, this information is crucial to be able to maximize power output. Solar panels can be placed in the locations that get the most sunlight. This information is also extremely valuable for city planning. Areas with more sunlight often get higher foot traffic and can have increased apartment rental prices. 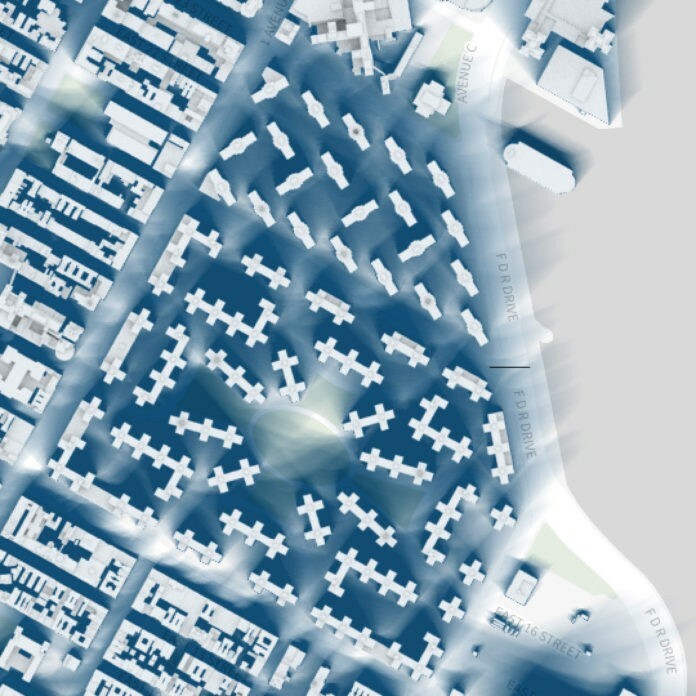 Image credit: Geo Awesomeness | Shadow map of a section of New York City. Unlike machine vision, the 3D representations created by LiDAR lack a lot of personally identifiable information. This abstract view of people in spaces provides an ideal way of tracking people and their behavior without raising large privacy concerns. Credit: Sploid GIF | A stylized point cloud of a person dancing. In a retail environment, it’s extremely valuable to know how people travel throughout a store. Where did they stop? What aisles or displays did they walk by without pausing? Combining this data with what customers are actually purchasing can provide crucial insights to help better shape the retail experience for customers, increasing profits.